General Motors’ and Ford’s white-collar workers prepare for the worst even as their employers are profitable, Volvo thinks it can actually make money on this “electrification” thing, President Trump lights up GM and the UAW on a trip to Ohio and much more for The Morning Shift of Thursday, March 21, 2019. General Motors and Ford are both downsizing at the moment, reducing their respective global workforces, cutting back on salaried workers and even re-evaluating or closing factories. Unlike last time, these moves come as both automakers are doing relatively well and posting strong profits. But the automakers say cost-cutting is needed to fund the massive investments needed for electric and autonomous vehicle development. This Detroit Free Press story goes into the anxiety and fear felt by many white-collar workers at both companies as they face layoffs in an industry once known for effective lifetime employment. No one’s happy about it, clearly, but GM has been more “transparent and expedient” in the cuts as opposed to Ford’s reported opaqueness. It’s a powerful lesson for Ford Motor Co. folks to remember: No one is safe. As GM’s crosstown rival cuts salaried jobs across the company, some of those whacked by GM are now reflecting on their experience, the firing process and their life after GM. They have advice to Ford employees: First, overconfidence is deadly; and second, “Start looking for another job, sell your house and downsize now,” said the laid-off GM employee. [...] On Feb. 4, GM began cutting the white-collar jobs across North America as part of a restructuring intended to save the carmaker $2.5 billion this year. GM said as it went through the process if focused on being transparent and sharing as much information as possible with employees. 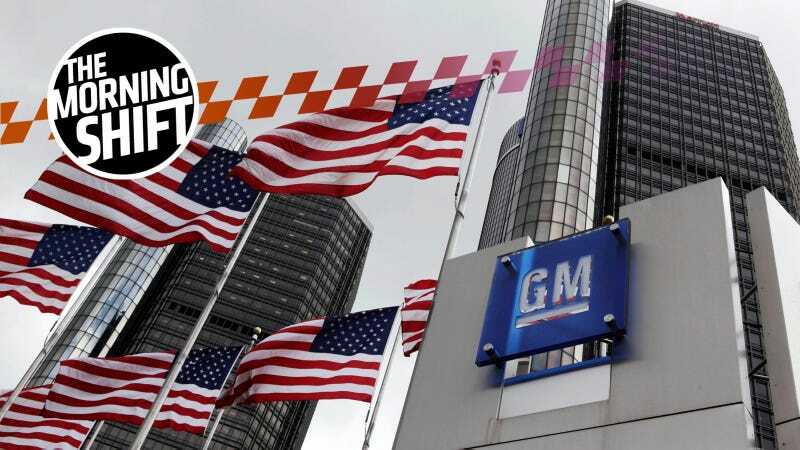 “We also made these decisions when the overall economy and job market is strong, which we feel increases the likelihood of our employees finding other job opportunities,” said GM spokesman Pat Morrissey. The woman whom GM fired, who has a master’s degree in finance, was in a senior-level job. She said she was a top performer. But she also feared that she was an easy cut. A nice thought—but does that happen anywhere? As with the factory workers also facing plant closures, there’s a sense of resentment that these cuts are happening now, as the economy is supposedly “good,” as the car companies themselves are doing so well and so relatively soon after the bailouts. Speaking of auto jobs, the United Auto Workers union is set to go into contract negotiations later this year. And one of the big priorities it has now in negotiating health and safety issues is fighting the opioid addiction crisis. This is extremely relevant to the auto industry for a lot of reasons. For one, the crisis is especially bad in the Midwest and in states with a heavy manufacturing presence. Additionally, working in an auto factory is a dangerous job, and injuries lead to overprescription for pain medications, which is proven to lead to more severe drug addictions. But the painkiller and heroin addiction epidemic plaguing the industrial heartland is different. “Thing here with opioid abuse is, it’s so deadly. With the introduction of fentanyl, it’s gone from a bad habit to a deadly habit with staggering numbers,” he said. Anyway, this is a disaster for some people but big business to others. One more item on the state of America’s auto workers. As you well know by now, GM is closing down its Lordstown, Ohio plant amid nonexistent Chevrolet Cruze sales. But that’s in the heart of Trump Country, and something the president is eager to fix as he runs for reelection in 2020. “Get that plant open,” Trump demanded, asking GM to either begin building in Lordstown again or find a company that will. The president later turned his criticism to the UAW during his visit to UAW-represented Joint Systems Manufacturing Center, an Army tank plant in Lima that’s been a prominent presidential campaign stop dating back to the Dwight Eisenhower campaign in 1952. “Lordstown is a great area. I guess I like it because I won so big there,” Trump said. Lordstown’s Trumbull County, formerly a Democratic stronghold, flipped to vote for Trump in 2016. It’s not clear what effect this will have on upcoming negotiations, but neither entity probably wants to be in Trump’s crosshairs. Or on his Twitter timeline. In the model lines where plug-in hybrids are currently available, this includes the XC90 and XC60 SUVs and the V90 and V60 station wagons, those variants account for about 10 percent to 15 percent of Volvo’s global sales. The hybrid models are especially popular in Europe, probably as buyers look for fuel-efficient alternatives as the world slowly weans itself off diesel. The trial of former Nissan Motor Co boss Carlos Ghosn on charges of under-reporting his salary is expected to start in Tokyo in September, Japan’s public broadcaster NHK said on Wednesday. Should we hire someone to cover it from Tokyo? Do you care? I’m considering it. Neutral: Cuts When Healthy, Good or Bad? Where do you land on GM and Ford’s cost-cutting while things are good for them? Necessary for the future, or a betrayal of the American worker?